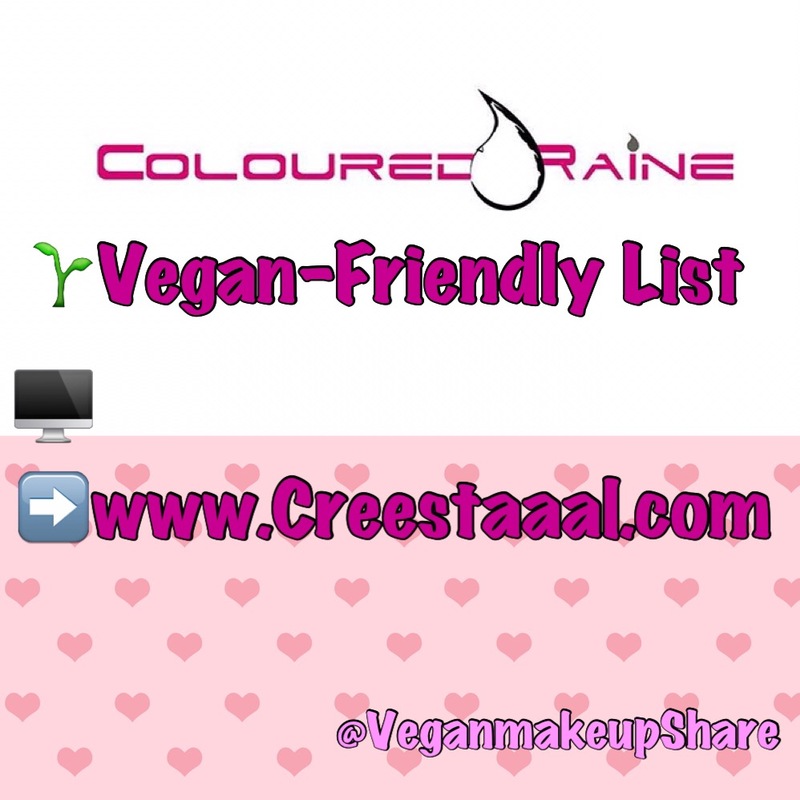 Posted on September 6, 2016, in Vegan Friendly Lists, Vegan Lifestyle Blogger, VeganmakeupShare and tagged coloured rain, Coloured Raine, crueltyfree, no animal testing, Vegan, vegan beauty, vegan cosmetics, vegan lipstick, vegan liquid lipsticks, Vegan makeup, vegan matte lipstick, VeganmakeupShare, woc owned. Bookmark the permalink. Leave a comment.